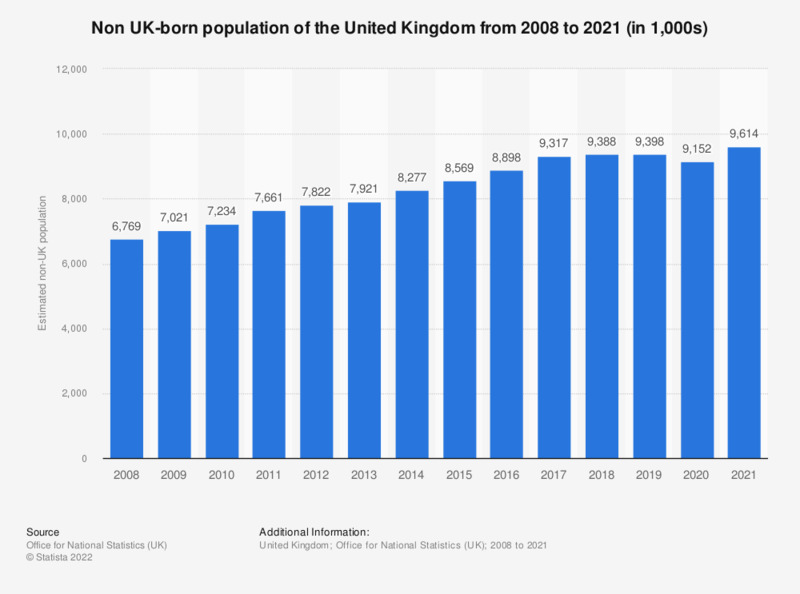 This statistic splits the resident population of the United Kingdom (UK) into those who were born in the UK and those who were not from 1951 to 2011, as a percentage. The data, taken from the census of each year, shows that the amount of UK residents who were born outside of the country has grown consistently over the period. A total increase of 9.1 percent.